Pain. It's the four letter word that will ruin anyone's day. However chronic pain can stop you in your tracks. Chronic Pain is something I wouldn't wish on my worst enemy and is something I have lived with for over 20 years (and will deal with for the rest of my life). I want to share with you my tips for dealing with Chronic pain. In home PT exercises, Epson soaks and Curamin® Stop Pain Now relief are a few of my go-to remedies. I will share those with you shortly, but first I want to tell you a story. I became familiar with chronic pain on May 15, 1994....I remember the day like it were yesterday. We took the boat out to Disappearing Island in Ponce Inlet, FL, a place where we spent many weekends with friends and family. I was a Freshman about to finish my first year in High School. That day I had 2 friends who were supposed to go on the boat with us but they cancelled last minute, forcing me to spend the day with my little brother and his friends. That was not how I wanted to spend my Saturday. Disappearing Island got it's name due to fact that during low tide every day, an island appears as the water recedes at the inlet where Ponce Inlet and New Smyrna almost meet. The water can be murky and many times you are unable to see the bottom of the Ocean floor. In the beginning of the day, I hung out with the boys who were doing flips into the water from the sand bar. After lunch, I fell asleep for a few minutes...or so I thought. Upon waking up, I did a running front flip from the sand bar into the water, exactly what we were doing (what I thought) minutes earlier. I must've dozed off for a while as low tide made its way upon us and I didn't notice the change of the island. Entering the water, I slammed the back of my head and neck on the bank which was about 3' deep. It was a pain I've never felt before. Imagine a million knives being jabbed in your spinal cord and feeling it all over the rest of your body. It was the scariest day of my life. A helicopter was called to airlift me to the ER. However, there was no where for it to land so I went via Ambulance. Every bump that we went over radiated through my body. Once I got to the ER, it was a rush of MRI's, Cat Scans and X Rays. Then we got the news. My Mom and Dad were told first and I remember my Mom crying. The Doctor informed them I bruised my C3, C4, C5 & C6 discs in my spinal cord and that although I had some movement at the time, I may wake up the next day as a paraplegic. Now a bruise may not sound severe to you but this injury was equal to breaking your neck. The next day I was still moving but everything was reversed. When they told me to push my foot forward, I went backwards. My left and rights were switched. I only had 10% strength and was completely freaked out. I lived in the SICU ward of the hospital for a week. I had to learn to walk again and every step I took was worse than running a full marathon. I cried non-stop from the pain I was in and the fear of the unknown. However, I had an amazing Doctor who did not pump me full of drugs and I was cured without a spinal fusion. My health record is used today throughout the US for non-surgical treatment of this severe injury. Learning how to walk again was not the only thing I had to go through. I went through 10 years of Physical Therapy and still to this day do my PT exercises at home. I have flare ups, especially if it's raining or cold outside. I get frequent massages that are not something you would ever get at the Spa - they hurt and not in a good deep tissue kind of way. I will live with this the rest of my life. 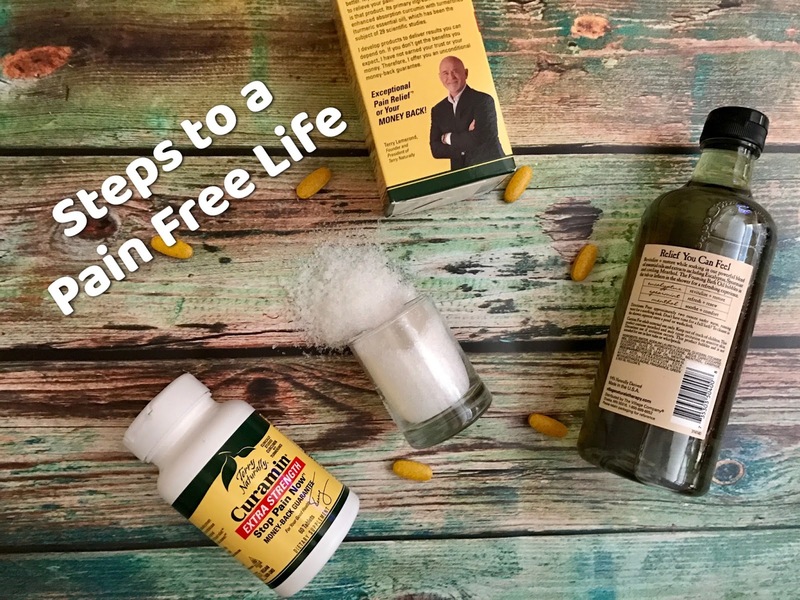 I'm sharing this story with you today because there are ways to get through chronic pain without the treatment of prescription medication. Here are my three favorite ways of getting relief from chronic pain at home. I am not a fan of prescription medication. I have an extremely week tolerance to it and have gotten sick more times than I like to remember from taking one pill. Over the years, I found what works for me and what doesn't. About 10 years ago, I was introduced to Curamin® Stop Pain Now. It's a safe, effective and non-addictive herbal formula including Boswellia, DLPA, Nattokinase and Curcumin. It's no question as to why Curamin® has been voted #1 for Pain Relief. Neck Flexion: Bend head forward and hold 3-5 seconds. Repeat 10-20. Neck Extension: Bend head backward and hold 3-5 seconds. Repeat 10-20 times. Lateral Neck Flexion: Slowly tilt head toward one shoulder, then the other, holding each side for 3-5 seconds. Change sides and do the same. Repeat 10-20 times. Neck Rotation: Turn head slowly to look over one shoulder, then the other. Hold each for 3-5 seconds and repeat 10-20 times. I hope this brings relief for those living with neck pain. 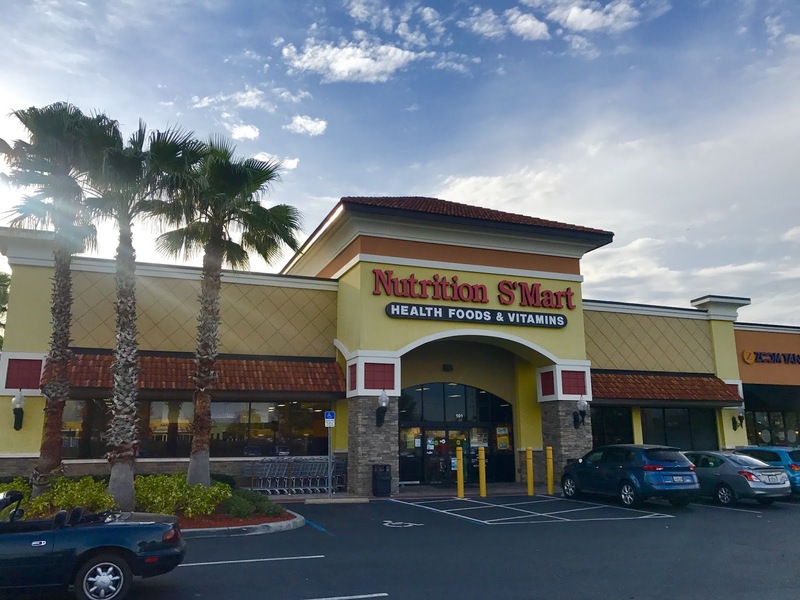 In case you were wondering, I purchased my Curamin® Nutrition S'mart in Wesley Chapel FL. I was very impressed with the stores offerings. I could get natural supplements while grocery shopping without a crowd! Check out the Curamin® Stop Pain Now store locator to find a retailer near you.